Move over Wide Neck Guy, your fifteen minutes of fame are seemingly over, there’s a new sheriff in town. And his name is Long Head Guy. Yes, our fascination with people’s mugshots and the shape of their upper body parts continues, and thankfully the internet has curled out a golden nugget just for us. Long Head Guy has risen to viral fame thanks to his mugshot shared by Fresno Police, who had to arrest the man after he was caught up in a brutal street fight, reportedly involving a bat and a metal rod. According to WSVN, a footage from the fight shows two men fighting in the street before one is knocked unconscious. The suspect then continued to attack the unconscious man. The suspect was later arrested, and the victim taken to hospital with ‘serious injuries’. According to reports, the man is expected to survive but may need surgery. After the incident, 61-year-old Phillip Ray Lester was arrested and charged with assault with a deadly weapon. According to police, both the men involved in the fight were homeless, and said Lester had initiated the fight. [Lester] went to the other homeless person’s camping area began tearing down his tent. That’s when the victim confronted him, and that’s when the suspect began striking him with a baseball bat. Does your mugshot going viral mean you are destined to have run-ins with law enforcement? 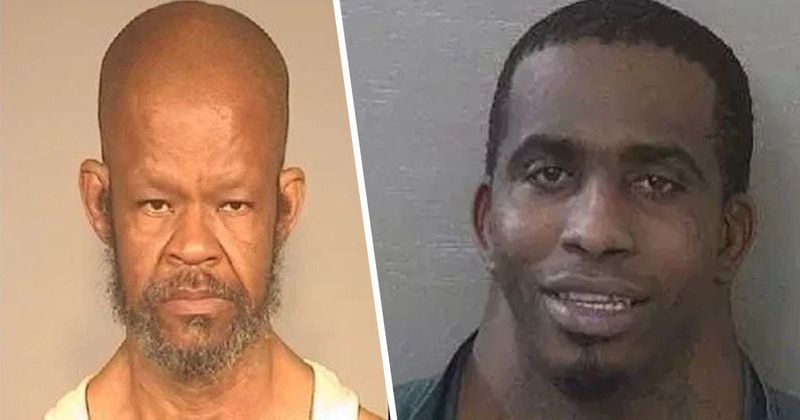 Last year Charles Dion McDowell was arrested for a second time after rising to notoriety online thanks to his super wide neck. McDowell’s unmistakable mugshot seemed to do alright for him though, as it seemed to kickstart a new career – viral-based of course. He’s currently sitting pretty at 1.2 million followers on Instagram, despite being arrested a second time. He’s going to have to get Lester in on that sweet viral fame.